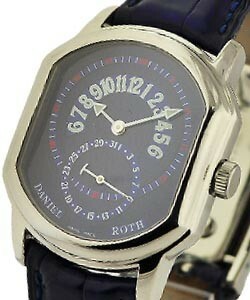 In 1989 the Daniel Roth company was born in a little village on the shore of the Lac de Joux, and quickly began to turn out timepieces that were uniquely original in their mechanisms. 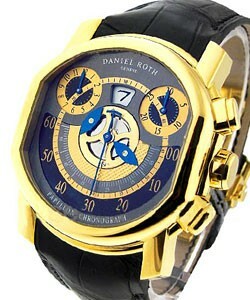 Daniel Roth's Double sided tourbillon is one example of a world first that came from this company. 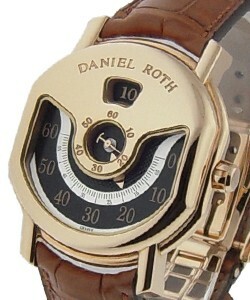 Daniel Roth luxury watches are therefore mechanically advanced as well as beautiful. 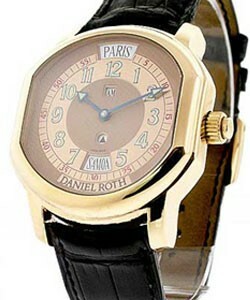 The Academic Collection of Daniel Roth luxury watches was designed with a vintage feel. These watches are sleek and classic. 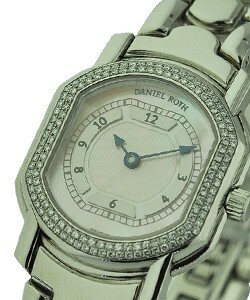 Each watch has a one-of-a-kind movement. 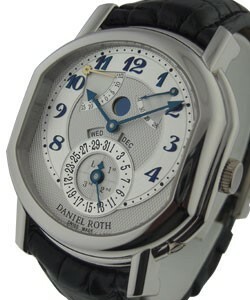 Models include the 'Daniel Roth Althys', the 'Daniel Roth Chronograph Vintage', the 'Daniel Roth Elipsocurvex' and the very popular 'Daniel Roth Le Sentier'. The 'Elipsocurvex Chrono-Perpetual Calendar' is an example of a watch that uses the intelligent perpetual calendar system. This calendar is designed so that it knows not only how many days are in each month, but also takes leap years into account. This makes it so much more than a simple calendar watch. There is no manual adjusting required to always have the correct day and date. As you can imagine, the models in the Daniel Roth luxury watch collection include incredible complications, as demonstrated by the 'Daniel Roth Skeleton Master Complication Chronograph'. 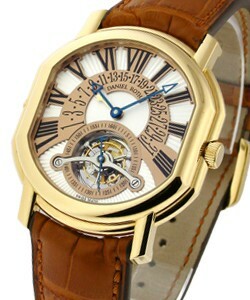 The skeleton-style face allows you to see into the intricate workings of this amazing timepiece. 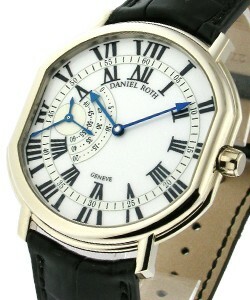 If you are a man who appreciates the workmanship that goes into the grande complications, then you will prefer the style and precision that go into the Daniel Roth luxury watches.